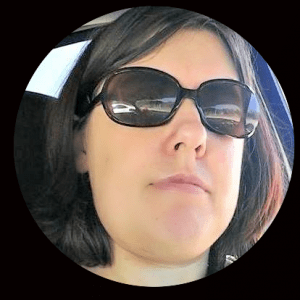 Since one of my main hopes for my blog is to help you live the best life possible and be as happy and fulfilled as you can. I thought it would be a good idea to think about what steps you and I could take to make this year more amazing. Last year went by so fast and 2017 is already speeding up. I can’t believe that we are already over half through January. Wasn’t it just Thanksgiving and we were getting ready for Christmas. I don’t want 2017 to pass us by and have us wondering yet again why it wasn’t the best year. So let’s take some time to figure out how to make this year more amazing. As I said the year will go by fast and if we don’t make a plan to make this year more amazing then it probably won’t be. We will get got up in the day to day tasks of living and not even realize how fast it’s going by. Don’t let that happen! How do we stop it? By making a plan. You are reading this post which is a great start and you are aware that you want to make this year more amazing. Oh, Goals! I love setting goals. I think that goals are so important and a huge factor in achieving greatness. So let’s set some for this year. Check out my posts why you need more than yearly resolutions and my 5 step process to setting goals that get accomplished! Just like with making a plan if you don’t take the time to figure out your goals for the year then the year will pass you by and you will wonder why you got nothing accomplished. So put in the time and set your goals and make this year more amazing. I will be here every step of the way! I want to help you achieve greatness in both your professional and personal lives. We can do it! This is still such a work in progress for me! I am not as healthy as I’d like to be or should be. If I compare myself to last year or two years ago I can see that I’ve been working on it. I move more(thanks to my Fitbit which I love! I got this one in blue for my birthday and have no complaints. It’s not the newest model but it does everything I need it to. If you are looking for a fitness tracker it is fantastic. I also drink more water and make sure to get enough sleep. I spent way too many years not caring enough about my health. Even after my stroke, I didn’t pay enough attention to taking care of my body. I still have improvements to make and it is part of my goals this year to incorporate exercise more into my daily life and eat better. Every improvement I’ve made to my health so far has made my life easier and better so I need to keep it up and do more. The fact is that not everyone who comes into your life should stay in your life and is the best for you. This took me a long time to understand and although I may wish things were different. Some people just were not healthy for me to remain close to. Those relationships drained me and left me stressed and often depressed from trying to maintain. It’s ok to either cut ties or limit interactions with people who don’t bring out the best in you. I think that self-care and making time for yourself is so important and a must if you want an amazing life. Why? Because if you want to be the best then you have to take care of you. You can’t give your all if you haven’t cared for yourself. It doesn’t need to be a lot of effort to take care of yourself. Just the act of giving yourself alone time or special things to relax you. Such as taking a bath, painting your nails or reading a book. Spending this little bit of time on you will help your stress levels and that makes you more effective in your life. I just mentioned in the last step that taking time for yourself is a way to help with stress and it’s a great start. I want you to be happier and healthier and live the best life you can. I really do. You can’t live that life if you are weighed down by constant stress. We all have things in our lives that will stress us and periods of high and low stress. I don’t think I’ve ever met someone who was stress-free. If you know someone ask them their secret and then tell me. I hate dealing with stress. Since I don’t know how to get rid of it I do my best to minimize it. Most of these steps on how to make this year more amazing will also help you be less stressed. So I hope you will work through these steps and your year will be more amazing in part because you will have less stress. One of the best ways I have found to be happy and enjoy my life more is to remember how blessed I am. No matter what you are going through I am sure there are people out there that have it worse. I know when I was going through all my health issues a few years ago. It did help me to be more grateful and remember what I still had that was good. I try to pray each night as part of my routine. Part of that for me is to also think of a few things I am grateful for and thankful for in my life. Even if you don’t pray just taking the time to remember what you have in your life will improve your happiness and make life better. A lot of people journal the things that they are grateful for. I love reading and it has always been a big part of my life. I think that if you want to be successful in life you need to be open to learning new things and reading is a big part of that. Don’t know enough about a topic then read about it and learn more. That is what I’m doing right now. I want to learn more about how to handle our families budget more efficiently and with less conflict, so I’m reading Love your Life, Not Theirs: 7 money Habits for living the Life you Want. I find it helpful to read books on different subjects especially in self-improvement because we can all be better. If you aren’t a reader than finding another way to learn or develop new skills or information. Though I still think reading is an important skill to work on I know not everyone likes to read as much as I do. You can listen to Podcasts, take online courses, anything that helps you learn more and grow your knowledge will help make not only this year more amazing but your life too. 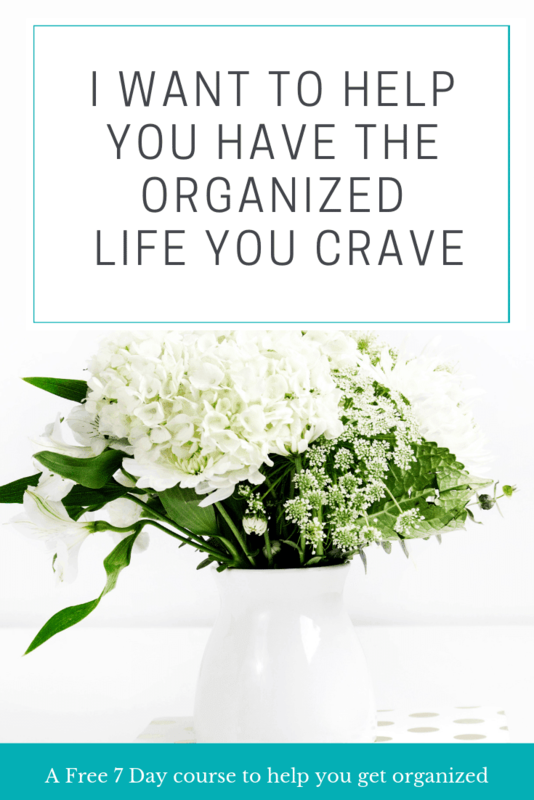 If you want an amazing life then you need to realize that happiness and joy can be lessened by having too much stuff and clutter. Outer clutter leads to inner clutter. So if your life feels messy and overwhelming there is a good chance your home is messy and overwhelming. Check out my post on 24 reasons why less stuff can make you happier. I’m guilty of this too. I know I still have too much stuff. Since starting to make an effort to have less and get rid of clutter I do see how much more relaxing and happier my home and life are. 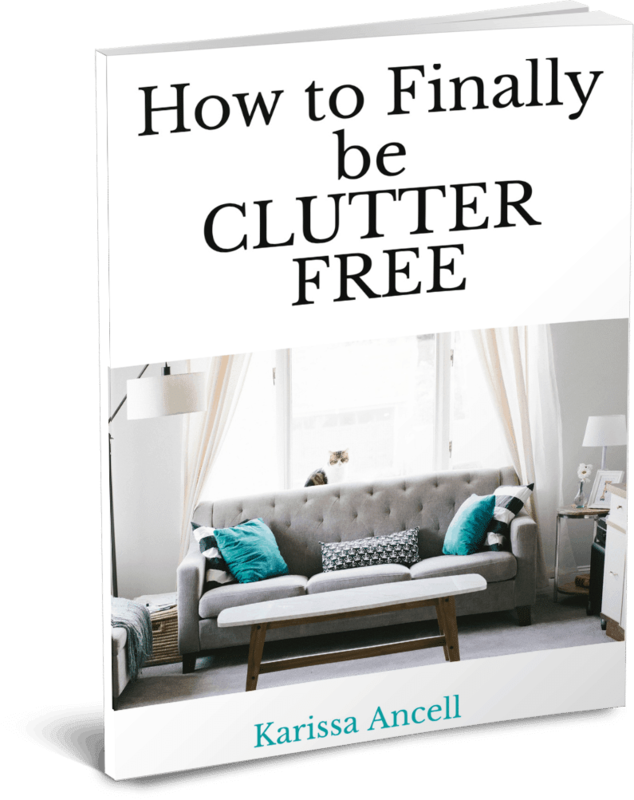 I know I want to keep working to make my home and life less cluttered. 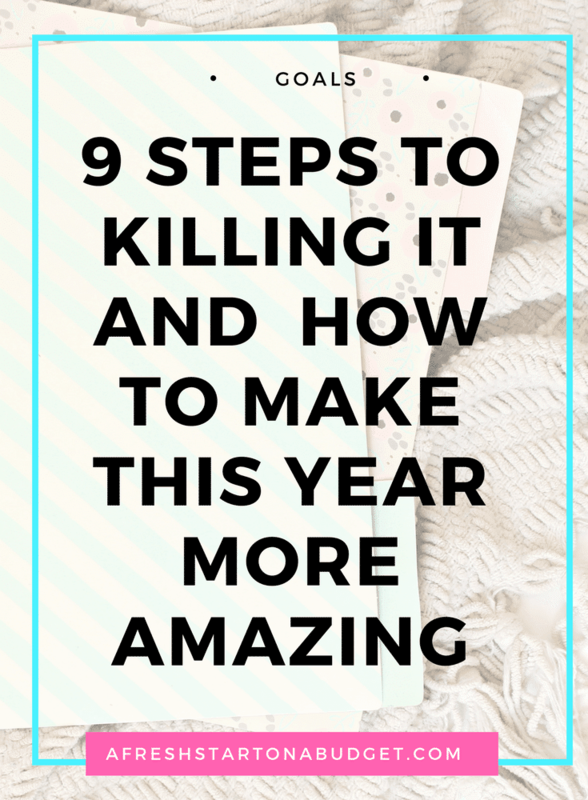 I hope these 9 steps will help you get started on planning how to make this year more amazing. I will be doing it with you because I know that I want my life to be more awesome and to achieve more this year than I have in the past. So I’d love for you to leave me a comment sharing which of these steps you feel will help you the most. All great tips! I’m all about the “me” time! Focus on relationships that work. Yes, yes, and yes! Love this tip. As I’ve gotten older, this is something I’ve slowly come to realize but it’s so true! All of these are something I can work on in my life! I am so guilty of failing to plan sometimes, but I am working hard to change. These are all super important! Love the post. My areas of challenges tend to be health and stress. Amen, Amen!! Karissa! You’re spot on. Love all of these points, especially the one about self-care and pouring into relationships that work. Hope more and more people follow your ideas, especially on being more grateful. Thinking more people need to be more tolerant. Sounds like you are on your way to a great year. Yes to the planning on it and to making time for yourself. Definitely should be part of your goals. Yes, to all of these! Goal setting is one of my favorite things to do. Meditating is a great way to work on your health, and it’s free! One of my big goals this year is to read one book a month. I’m not a very fast reader, so this sounds like the perfect pace for me. Awesome tips! Reading more was my goal last year and was totally worth it! Thanks! Reading is so good for people to do! I think gratitude can be a huge game changer! Good list! 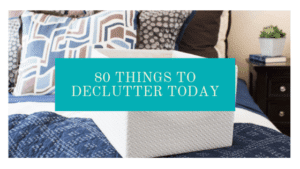 I am focusdong on decluttering this year in the house!! I also made a concrete plan for my garden so I can actually make progress. This is was so far really good for me. I didn’t except that, neither planned it. It will be a full, challenging and beautiful year for me and I hope I will be able to keep it all together, especially to take care of my health and make time for myself. Yes! I need to focus on my health! This is my main goal for this year, recover my ideal weight and loose all the extra pounds I got after pregnancy, this has been the hardest thing ever!